Finally the shape of the new Delta State Government is beginning to emerge, as Governor Ifeanyi Arthur Okowa continues to unveil the team he intends to employ to execute his SMART agenda and deliver the much verbalized Prosperity for all Deltans, in the next four years. The latest members and by far the most critical set of the highly anticipated new team are the first tranche of nominated Commissioners for several portfolios in the new Delta State Executive Council. The Speaker of the state House of Assembly, Monday Igbuya, read out the names during the House’s sitting in Asaba, as contained in the letter by Governor Okowa, dated 22nd June 2015 with Ref: No. GP/HE/14/68. Dr. Kingsley Emu, Barr. Neworld Safugha, Rev. Shola Williams, Arc. Joseph Ogeh, Hon. Mary Iyasere, Hon. John Nani, Hon. Joyce Overah, Chief Fidelis Okemuor Tilije, Hon. James Aguoye, Chief Vincent Uduaghan, Hon. Austin Chikezie, and Mr. Chienedu Ebie are the first set of Twelve (12) names submitted to the Delta State House of Assembly by Governor Okowa, as Commissioner Nominees for his new cabinet. Rev. Williams served in Governor Uduaghan’s first term cabinet, while Dr. Emu and Barr. Safugha served in his second term but were dramatically relieved of their portfolios by Uduaghan for their alleged political sympathies with the then Senator Okowa and Senator James Manager, who was in contention with Uduaghan for the Delta South Senatorial seat. Hon. Overah has been a member of the House of Representatives, Mrs. Iyasere was a very prominent woman leader in the James Ibori Government, Hon. Nani was a member of the Delta Assembly, while Hon. Chikezie was a former Vice Chairman of Aniocha South LGA and a very close contender for the Aniocha South House of Assembly seat. Chief Aguoye was the Okowa Campaign Cordinator for Okpe Local Government Area, Arc. Ogeh is the Commissioner representing Isoko ethnic nation in the Delta State Oil Producing Areas Development Commission, DESOPADEC, Chief Tilije decamped from the Labour Party, LP, where he was the running mate to Chief Great Ogboru, to the PDP in the last days of the general election campaigns, Chief Vincent Uduaghan is a Cousin to immediate past Governor Emmanuel Uduaghan and Chiedu Ebie is a scion of the family of one of Nigeria’s most renowned Estate Surveyors and first General Manager of the Federal Housing Authority (FHA), Sir Fortune Ebie. All the nominated persons were instructed by the Speaker of DTHA, Rt. Hon Monday Igbuya, to submit to submit 35 duplicate copies of their credentials to the office of the Clerk of the state House of Assembly on or before Thursady, June 25, 2015, and their screening has been scheduled for Tuesday June 30, 2015. 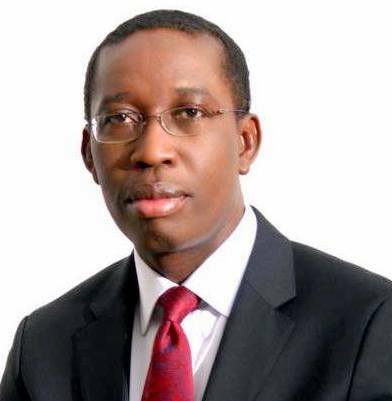 Discerning observers have hailed Governor Okowa for the promptness, with which he has forwarded the list of Commissioners, which some refer to the as ‘the first batch’ to the Delta Assembly, pointing out that this gesture not only signifies the preparedness of the Okowa administration to hit the ground running, but also underscores the fact that he fully understands the harsh economic situation Deltans are passing through presently and is desirous to set the machinery of government in motion in order to begin to galvanize the comatose socio/economic life in the state and lubricate the economy with much needed profitable activity. However, those who are expecting the list of a ‘second batch’ of Commissioners may be in for a huge disappointing, as a school of thought has opined that another list is not likely to be submitted to the Assembly as Governor Okowa may have decided to base his nomination selection on the principle of Federal Constituencies rather than the old LGA consideration, and that the names so far submitted may be representative of the 12 Federal Constituencies in Delta State, in the spirit of ensuring that each Federal Constituency has a representation in the state cabinet. There is also the wide held speculation that Governor Okowa may also merge some existing portfolios and subsequently create new Directorates to cater for sectoral areas that require direct government attention, as a way of cutting down the cost of governance, while ensuring that priority is given to critical areas, at least in the first few years of his administration. This argument has further been given credence by the fact out of the 17 Special Advisers approved for him by the Delta Assembly, Governor Okowa has only named Six (6); former Delta State PDP Chairman, Elder Emmanuel Ogidi, former Senator, Chief Emmanuel Aguariavwodo, former Delta NLC Chairman, Comrade Mike Okeme, former House of Reps member, Hon. Pascal Adigwe, former DTHA Speaker Rt. Hon Martin Okonta and Barrister Mola Emiko. The remaining 11 (eleven), according to analysts, may yet be named as Special Advisers to head the Directorates expected to be created in the new dispensation, which will bring the number of the expected cabinet members to 29, in line with the number of State Constituencies, as represented in the Delta state House of Assembly. Governor Okowa had already appointed Rt. Hon Festus Ovie-Agas as SSG, Hon. Tams Brisbe as Chief of Staff, Chief Festus Ochonogor as Senior Political Adviser, Omimi Esquire as Politcal Adviser and Steve Eruotor as Deputy Chief of Staff. In addition, Mr. Hilary Ibegbulem has been named SSA to the Governor, Hon. Ifeanyi Eboigbe as Director of Protocol and a full media team headed by Mr. Jackson Ekwugum as Manager Communications and Mr. Ehiedu Aniagwu as Chief Press Secretary, amongst others. However, another school of thought has expressed full conviction that a ‘second batch’ of Commissioners list cannot be ruled out, especially given the fact that certain ‘names’ from some Local Government Areas, already touted as cabinet members were not included in the ‘first batch’ and while conceding that Governor Okowa has the full support of Deltans to deliver on his mandate of prosperity for all, are still expectant that a second list may still emerge sooner than later. Thank God for giving Delta state a good Governor.